Prime Minister Narendra Modi on Monday asked the Indian Space Research Organisation (ISRO) to develop a satellite which will serve all the Saarc nations. Addressing Indian space scientists at the Satish Dhawan Space Centre in Sriharikota after the successful launch of PSLV C23 rocket, the Prime Minister said the fruits of India's space missions should reach other developing nations, especially India's neighbours. "You should develop a Saarc satellite," he told the scientists. "We should dedicate this satellite to our neighbourhood as India's gift ... India is rooted in our age-old ethos of 'Vasudeva Kutumbakom'. Our space science reflects that. We should share the fruit of this with our neighbouring countries," he said. 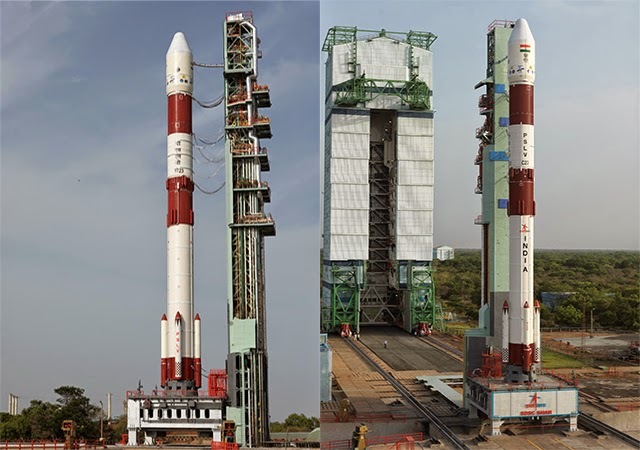 Minutes earlier, PSLV C23 had injected five foreign satellites into the specified orbits. The rocket lifted off at 9.52am and completed all four phases with textbook precision. Modi went around congratulating the scientists after promising bigger thrust on space science. The Prime Minister sought to dispel the notion that space science is for the elite. "This is the biggest mistake some people make. Space science ultimately works to change the lives of the poor ... Space science empowers a child in the farthest village with education. It delivers telemedicine. It enables a youth in a small town with various new job opportunities. Satellite technologies have made distance irrelevant. It furthers the power of 125 crore connected Indians," he said. "GIS (Geographic Information Systems) has applications in urban planning and watershed development. Space imagery helps in land management, coastal management. It is an invaluable asset in disaster management. By predicting cyclones, it has saved millions of lives," the Prime Minister said. He called upon space scientists to enlarge the footprints of India's satellite-based navigation system to cover the whole of south Asia. "Space should be our national mission. We should have bigger satellites with larger power. We also have to further our international partnership in space technology. Extend our launching capabilities to heavier satellites," he said, urging Isro to tie up with universities and colleges to develop future scientists and leaders. "Possibilities are limitless, the benefits enormous. We should maximize the use of space science in governance and development," he added.